The property management sector is buzzing and competition is becoming more and more challenging. The field is influenced by new technology trends, laws to comply with which are becoming stricter and the evolution of relations with tenants. 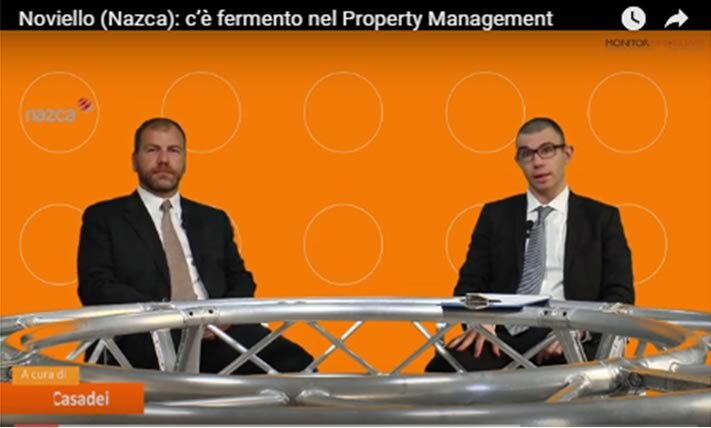 Vincenzo Noviello, Head of Business Development at Nazca, gave us an insight to this in an interview with MonitorImmobiliare. Could you tell us about your agreement with Giuffrè Editore? A few weeks ago we signed a facility management contract that stipulates our collaboration with the publishing house for the next seven years. It is a particularly significant contract for us. In fact, it includes the acquisition of the company’s general services department. This is made up of 11 collaborators and we will guarantee job security for them. The deal with Giuffrè Editore is part of the radical revolution the whole publishing industry is going through, moving from a hard copy, printed world, to a digital one. Giuffrè was looking for a partner that could support them in the evolution of their general services department and their spaces. They have chosen Nazca. You are in direct contact with occupiers as facility management players. What are the trends you see? As facility management players, we have the good fortune and opportunity to be in daily contact with facility managers, our clients’ real estate managers, and our clients themselves: occupiers. We must highlight an aspect which is present today more than ever: lease management. It isn’t a document that is kept in a drawer and pulled out only during stipulation and renewal anymore. It is managed during the entire agreement. I’m not only talking about renegotiation of costs, but also about a continuous dialogue with the property to improve efficiency and satisfy the company’s needs. During this open conversation between the property and its occupiers, Nazca supports all parties with its specific knowledge. Are there new developments in the property management field? What evolutions will we see in the offer? The property management field is buzzing. The demand is evolving and the offer is adapting. I’m think of three trends. The first is the management of buildings that, both new and refurbished, have a technological content that is higher than ever. There is also compliance with all the regulations which must be managed for the property: these are becoming more and more complex and are taking into consideration new technology. Finally, relations with tenants are becoming very dynamic, and this requires a stronger presence on the field, in the property itself. These three trends are also part of a scenario where management fees are more and more competitive and aggressive. In markets that are more developed, such as the German, French or British ones, evolved facility management companies, that already have technologic competence, are becoming competitors for property management companies. The former, who already have a place in the property because of their management, also have the advantage of an established paid, direct presence. NAZCA at the Facility Management Day 2016!